The Front Page in Counter is created with a special template that pulls content for each panel from other pages that you choose. To create a front page like the one you see in the demo, you first need to create and set a static front page. Step 2. Add the title, content, and permalink. The title and content you set here will appear on the front page at the very top, before other panels, in a so-called Hero panel. Step 3. 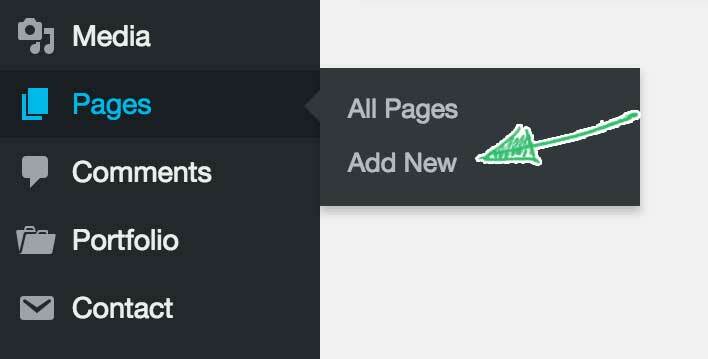 When done, publish the page. Step 4. 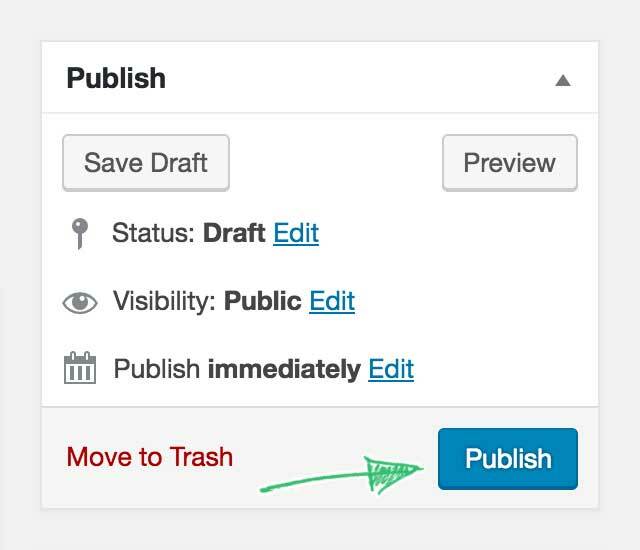 If you plan to have a blog on your website, create another empty page called Blog and publish it as well. Step 5. Open the Customizer, navigate to Static Front Page and choose the page we’ve just created in the Front page select box and the Blog page in the Posts page and click Save & Publish. 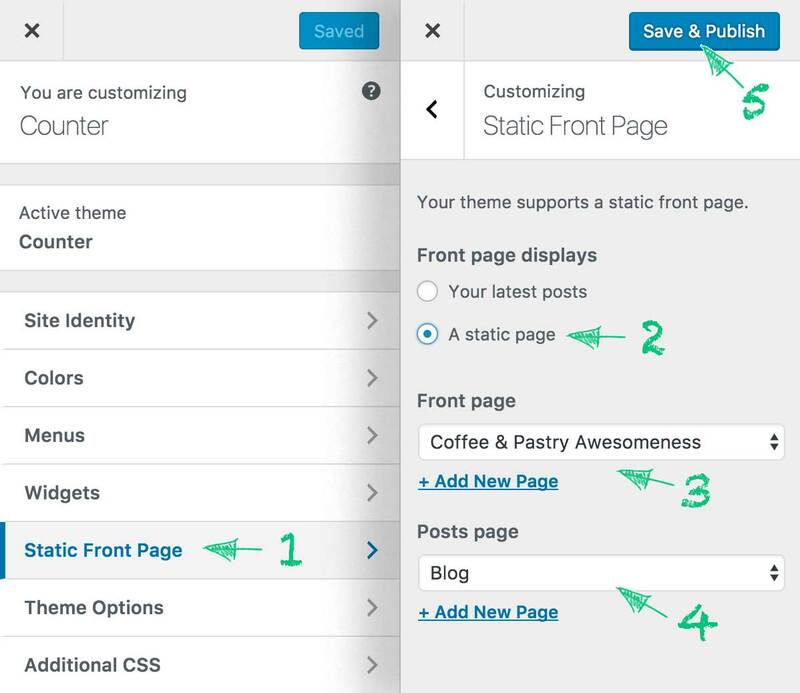 Now that your WordPress site displays the static front page instead of the latest posts, go to the next article to learn how to add other panels to the front page.